На данном уроке мы поговорим о путешествиях. 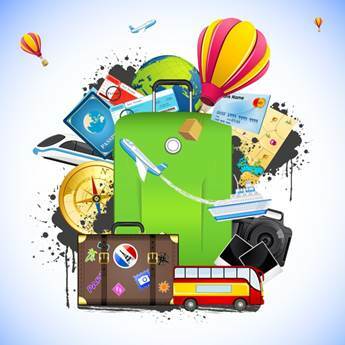 В ходе занятия мы узнаем, чем отличаются понятия journey, trip, travel, voyage, cruise, hike, какие существуют виды транспорта. 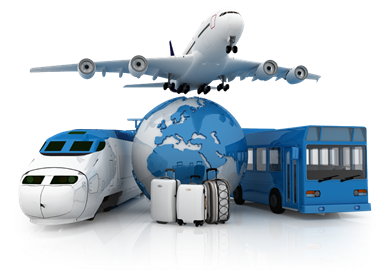 Many people are fond of travelling. People travel to see other countries and continents, to study different traditions, to try different food, or to explore beautiful places. They all travel in different ways. Многие люди любят путешествовать. Люди путешествуют, чтобы увидеть другие страны и континенты, изучить другие традиции, попробовать другую еду или исследовать красивые места. Все они путешествуют различными способами. Over land, through the air, or on the sea? Imagine if there was no other way to get around but by walking, it would take you a lot of time to get anywhere. So we need to thank a few people for saving our shoes. Like the person who invented the wheel. The wheel is everywhere: on our cars, trains and planes. But we don’t know who exactly made the first wheel. 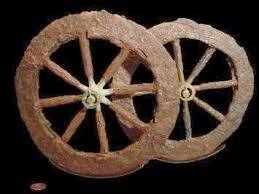 The oldest wheel found by archeologists is believed to be over fifty-five hundred years old. Представьте себе, если бы не было никакого другого способа путешествовать, кроме как пешком, заняло бы у вас много времени, чтобы попасть в новое место. Поэтому нам следует поблагодарить несколько человек за сохранность нашей обуви. Например, человека, который изобрел колесо. Колесо везде: на наших автомобилях, поездах и самолетах. Но мы не знаем, кто именно изобрел первое колесо. Считается, что самому первому колесу, найденному археологами, более пяти с половиной тысяч лет. 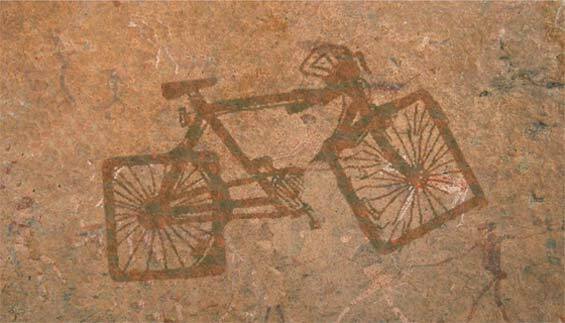 When you are riding about on your bike, do you ever wonder what the first bicycle looked like? The first bicycle was invented almost two hundred years ago. Когда вы едете на велосипеде, вы задумываетесь над тем, как выглядел первый велосипед? Первый велосипед был изобретен почти двести лет назад. Where is the information desk, please? What time does the plane for London take off / land? How much is a ticket to Coventry? What time will the train to London leave? Where is platform number 7? Where is the bus station, please? When does the bus leave for Coventry? How many stops before London? The bus with / without air-conditioner. The first working airplane was invented, designed, made and flown by in 1903. Первый рабочий самолет был изобретен, разработан, сконструирован и запущен в 1903 году. Now we can travel over the land, through the air and on the sea. Listen, read and repeat the poem. По морю и по воздуху. People can get to different places by plane. People can get to different places by car. People can get to different places by train. People can get to different places by bus. People can get to different places by ship. Пример: It’s a short trip from London to Coventry. Look at the words and try to do the matching between the words and definitions. Ответ: 1b 2a 3f 4d 5c 6e. Mike loves travelling a lot. Last year Mike took a trip to England. He went to the airport by bus and travelled to London by plane. In London he took a bus to the city centre. London buses are called double-deckers. They have a driver and a conductor. Mike got to most places in London very quickly by the underground. There are many lines in the London underground. He bought the tickets from the ticket office and the underground station, or from the automatic machines. If Mike was in a hurry, the fastest way of travelling was by taxi. Their shape and black color are famous all over the world. The “cabs”, as they are called, have become the symbol of London. London taxi drivers have green badges on their jackets. Mike had a wonderful time in London. Then he decided to go to Coventry, another city of England. It’s easy to get there by car or by train. Mike doesn’t have a car. So he went to the train station by bus and went to Coventry by train. He visited there a famous transport museum. He got there on foot. It took him 15 minutes. He discovered the very first bicycles and the fastest cars on Earth. Mike liked it a lot. Next year Mike is going to travel to France by ship, and you? 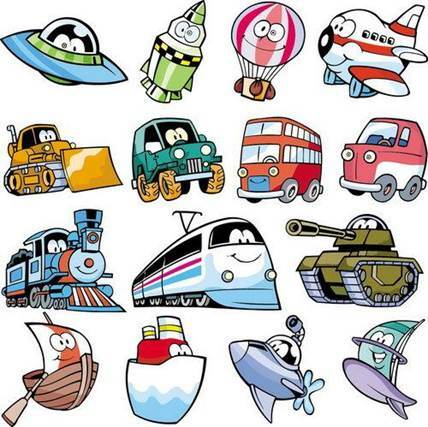 How many means of transport do you remember? 1) First, Mike travelled by ___________. 2) Then, he took a journey by ____________. 3) After, Mike had a wonderful trip by _________. 4) He also travelled by _______________, on ___________ and by ____________. 5) He didn’t travel by _____________. 6) ­Mike is planning to go on a cruise by ____________. Coventry Transport Museum is the largest collection of British road transport in the world. This gallery is home to Thrust2 and ThrustSSC, the two fastest cars on Earth! You can ride in a simulator that accurately depicts what it is like to travel in Thrust SSC at a speed of over 700 mph. The cars Thrust2 and ThrustSSC are the true stars of this gallery! Welcome! Jim: Hi, Steve! I want to go on a trip at the weekend. 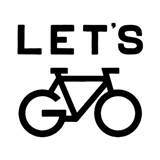 1) _________ you want to join me? Steve: 2) ________________ do you want to go? Jim: Somewhere near the sea. Steve: Mmm, that sounds fine. Do you want to go 3) ___________ bus or train? Jim: 4) ______________ bus, it’s cheaper. Steve: And what time 5) _____________ the bus 6) ____________? Jim: Well, it 7) _______________ quite early. Jim: At 7.50. 9) _________________ Victoria coach station. Steve: That’s ok. I’ll go with you. Соедините слова так, чтобы получилось словосочетание. Во сколько будет следующий поезд? Дайте, пожалуйста, два обратных билета.